Protein deficiencies contribute to mood disorders, digestion problems, hormonal imbalances, cardiovascular problems, detoxification problems, pH imbalances and muscular-skeletal disorders. In addition, insulin intolerance, a pre-diabetic condition, is an important factor influencing your body’s need for amino acids. Amino acids are “building blocks of proteins” and combine in thousands of ways in order to produce all of our enzymes, hormones, and neurotransmitters, as well as to build every structural part of our bodies, including the skeletal structure of our cells (Biochemistry, Second Edition, Matthews, Van Holde, 1996). 1) Many plant sources of protein contain such small quantities of protein in comparison to their carbohydrate content, that one would have to ingest an excessive amount of carbohydrate foods just to ingest enough essential amino acids. 2) Many people are not able to digest protein very well. Depending on only plant sources of protein to get therapeutic amounts of certain amino acids often overloads your system with toxic nutrients. For example, if you rely on nuts and seeds as a primary protein source, you are altering your body’s ratio of omega 3 to omega 6 fats, creating an imbalance. This imbalance of omega 3 to omega 6 fatty acids is now known to cause many health problems. 3) Due to the amount of stress most of us are under in the modern world, our livers are being excessively taxed. The amino acids, l-methionine, l-glutathione, and l-glutamine, all of which are found in abundance in animal protein, need to be consumed in therapeutic amounts. Without animal protein in your diet, it is very difficult to do this. Only animal protein possesses the eight essential amino acids in the quantities and proportions necessary to accomplish the healing process. A Note to Vegetarians: It is possible to be a healthy vegetarian, but you will need to consume the right quantities of both protein and fat from raw, grass-fed butter, cream and milk, and pasture-raised raw eggs. Whether or not you can be optimally healthy, and a vegetarian, is determined by your own body. Many people who prefer to eat plant protein eat a lot of soy and they don’t realize it is deficient in the sulfur-containing amino acids, methionine and cysteine. In the United States, soy foods are highly processed, which denatures the protein and increases levels of carcinogens. In addition, soy contains lots of phytoestrogens that have negative hormonal effects, as well as trypsin inhibitors that inhibit protein digestion and affect pancreatic function. Soy foods can also cause deficiencies in calcium and vitamin D. People with thyroid problems need to avoid soy altogether. Finally, it is now thought that soy foods consumed in large amounts may contribute to cancer. When seeking out the highest-quality animal proteins, sometimes it is important to go to great lengths to do so. Typically, in the United States what we mean by eating protein is the consumption of lots of grain-fed, antibiotic-and hormone-laden, and over-processed beef, pork, chicken, and dairy products. In addition to being pumped full of unhealthy substances, cows, pigs and chickens are most often left in cages, without any access to their traditional diets or sunshine. The Optimal Health Network recommends finding safe fish without mercury contamination, organic, pasture-raised eggs, pasture-raised or grass-fed, non-grain-fed, lamb, ostrich, elk, buffalo, beef, goat, chicken, turkey and wild game. This list also includes dairy from pasture fed cows, goats and sheep. How much protein do I need to be healthy? Since most people have spent years eating lower-quality proteins and a diet based on carbohydrates, it is essential to your long-term health that you nourish yourself with high-quality proteins in order to rebuild your health and cleanse your system. Also, it is important to know that if you eat sugar, you will need more protein than if you don’t eat sugar. Just this fact alone points to a higher need for quality protein for most people today. Not one plan fits all when it comes to protein consumption. Protein needs vary according to one’s age and activity. For some people, just eating an organic egg or two, a cup of raw cream, a full glass of raw milk, and some chicken broth throughout the day, supplemented with nuts and seeds, is plenty of animal protein. Another person may find he needs as much as 2 servings of lamb, 4 oz of fish, a few slices of raw cheese, a handful of pumpkin seeds and a serving of grass-fed beef all in the same day. 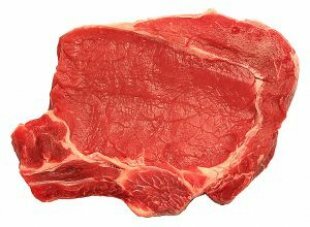 Eating raw meat or at least rare meats, including organ meats, will dramatically improve your health. When you have food cravings, are tired, weak, or when your concentration is poor, reach for protein. Protein helps keep that all-important blood sugar in balance. Eating protein at every meal is required for optimal health.